Ms Méndez was creative director at a giant advertising agency, creating multimillion dollar campaign identities for the world’s largest brands. Now she is professor at UCLA in Design and Media Arts, and in her design research and practice concentrates on critical reflections of visual communication practices, in particular on brand identity and consumer culture, to encourage formation of independent opinion and participation. With her husband Adam Eeuwens, a writer and strategist and also partner in her studio Rebeca Méndez Design, Méndez developed the core brand identity for BANANAS!, designing the logotype, its color palette, initial campaign ideas, and a set of brand guidelines. 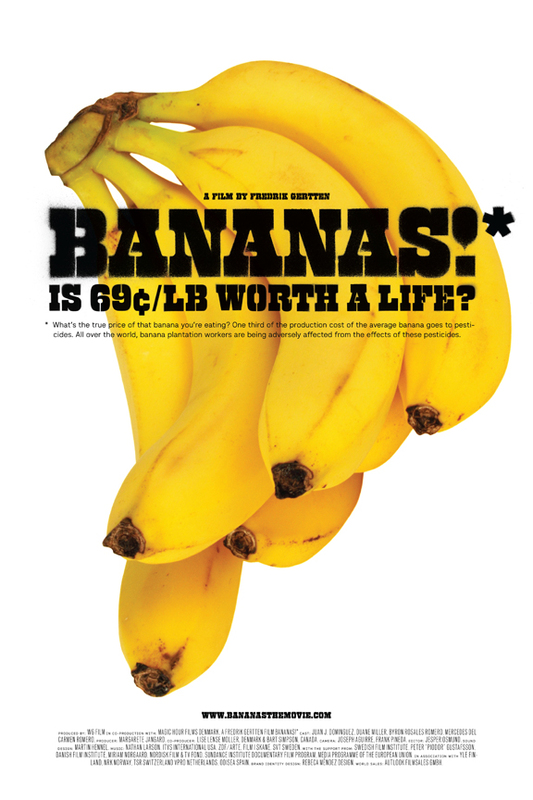 Then she handed the package to her Fall 2008 Visual Communication class of senior students at UCLA, and gave them the assignment to create a comprehensive communication strategy and design across all media for BANANAS! “For a class course of ten weeks, the students did well, and a lot of their ideas had influence and even a few of their designs made it to the final cut. The BANANAS! Twitter ticker on the front page on the website picks up on everyone using the word ‘banana,’ ‘pesticides’ and ‘Nicaragua’ in their twitter messages, and is an idea conceived and coded by one the students. 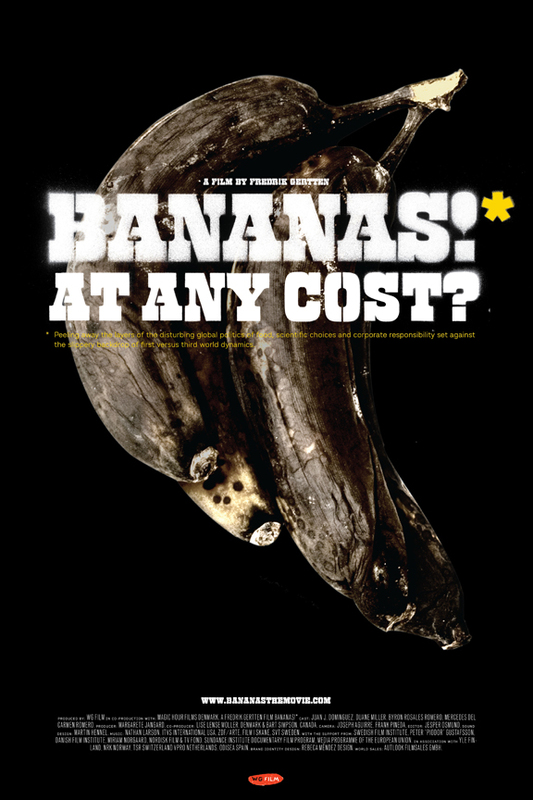 And the bananas photos for the poster were made by a student who bought them fresh and photographed the rotting process for weeks until they were completely black and fluid. Poster Design for BANANAS! * documentary film by Fredrik Gertten.